Shelbyville Schools are committed to providing a safe learning environment for our students as priority with parent communication. Recently, a dog residing with a local community member in close proximity to the school has been loose, unleashed and unsupervised by the owner around school grounds. 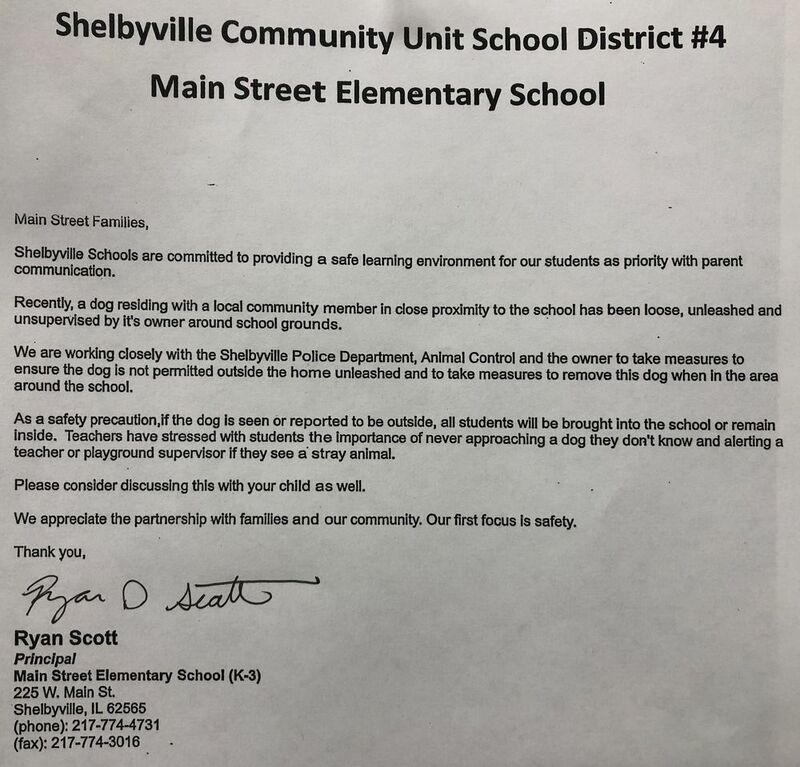 We are working closely with the Shelbyville Police Department, Animal Control and the owner to take measures to ensure the dog is not permitted outside the home unleashed and to take measures to remove this dog when in the area around the school. As a safety precaution, if the dog is seen or reported to be outside, all students will be brought into the school or remain inside. Teachers have stressed with students the importance of never approaching a dog they don't know and alerting a teacher or playground supervisor if they see a stray animal. Please consider discussing this with your child as well. We appreciate the partnership with families and our community. Our first focus is safety. A copy of this letter will be sent home with all Main Street students today.